While Motorola is working on the huge, 5.9-inch phablet Nexus 6, HTC is asked to handle the new large tablet for Google’s Nexus brand. 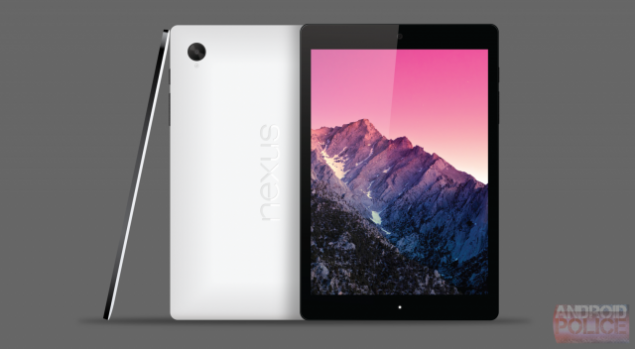 HTC Nexus 9 aka HTC Volantis will be a 9-inch tablet allegedly to be responsible to debut Android L along with the Motorola Nexus 6. 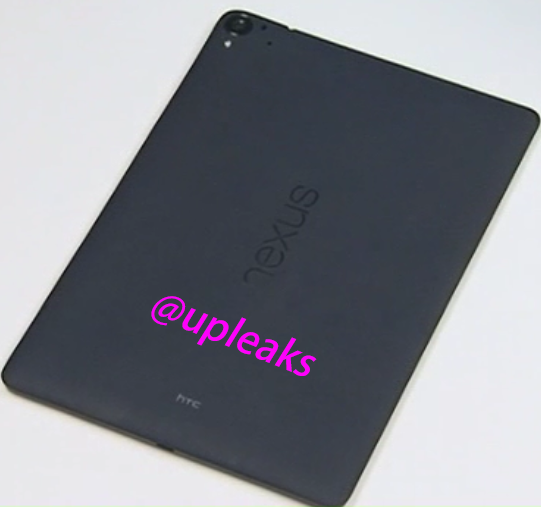 Today, we are looking at first image of the HTC Nexus 9 which shows quite a plastic design instead of earlier rumors hinting at metal finish from HTC. This latest Nexus 9 leaked image shows the back of the rumored tablet and clearly conveys a matte plastic look with no metal inclusion in the design whatsoever. The image comes through @upleaks which has been sharing quite a few details about HTC’s rumored selfie-centric high-end HTC Desire Eye smartphone – the smartphone is rumored to sport two 13-megapixel shooters for both its front and rear cameras. However, we cannot definitely vouch for the authenticity of these images, hence proverbial salt shakers should be kept nearby. As you can see from the leaked Nexus 9 image, the design ideology is kept very similar to the LG’s Nexus 5 with its large camera on the back and vertical Nexus logo on the back. However, we cannot really see much of the device in this image. Looking at FCC’s clearance of the gadget, we definitely expect to see and hear more about the upcoming HTC tablet in the coming days. The device is expected to be revealed in this month of October probably debuting Android L. This launch would be followed by Android L’s public release from Samsung and other OEMs.